Two recent initiatives are illustrative of the desire to make the Dutch commemoration of the Second World War fit into the frame of reference of immigrants to the Netherlands. Demographic changes and the importance of this war to our national identity make a course change imperative. An exchange of perspectives in the commemoration culture goes hand in hand with social integration and education. Imagine what a marvellous mental archive we would have at our disposal, if we could have installed a mindreader in the monument on the Dam from the very first wreath-laying on 4 May 1956, that would have registered all the thoughts, memories and associations of passers-by in the last 50 years. It would be the ideal source to study the impact of demographic changes on the culture of commemoration. 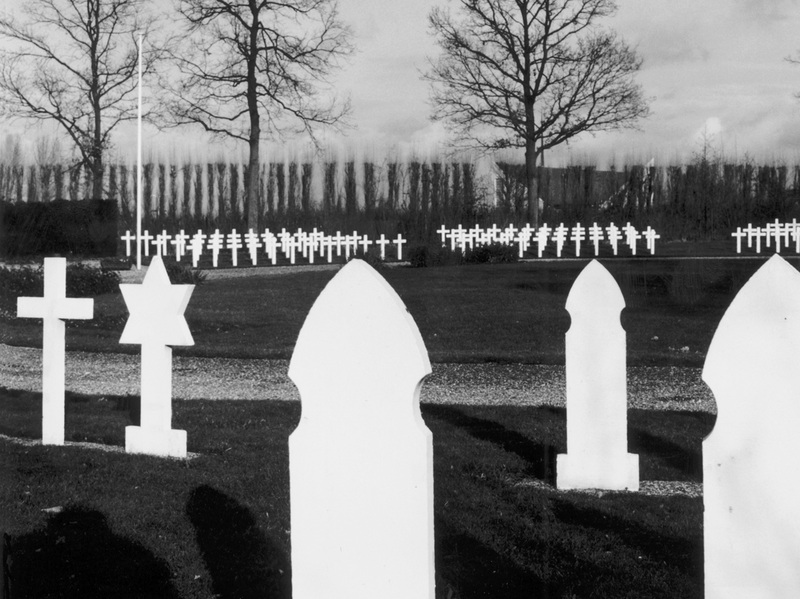 In the Netherlands, the culture of commemoration has always been inextricably linked to our own recent ‘honourable’ war: the Second World War. But because the number of people with authentic war experiences decreases every year and the percentage of Dutch citizens with a different cultural background is increasing, the national commemoration ceremony has acquired an increasingly stage-managed character. This stage-management is necessary because the commemoration of the Second World War not only has value for the people involved but is also supposed to serve as a moral lesson for society as a whole. The war is a terrifying example of what can happen when people abandon vigilance toward racism and intolerance. In its efforts to involve younger generations in the remembrances of 4 and 5 May, the political establishment has in fact repeatedly made the connection between remembering the war, particularly the persecution of the Jews, and the importance of solidarity with victims of persecution and repression. The monument is now officially dedicated to ‘all armed conflicts and peacekeeping missions in which people have been killed’. This marketing strategy creates problems, however, when it comes to New Dutch with a Muslim background. The second and third generation, especially, have not only grown up with Anne Frank but also with the Intifada. They rightly wonder how it is possible to remember the fate of the Jews without relating it to the situation of the Palestinians. The relative socio-economic lag of this group of immigrants, the anti-Islam atmosphere following 11 September and the great ignorance about the German occupation of the Netherlands have also contributed to a total lack of understanding for the Dutch fixation on the period 1940–1945. In its most crude form, this was expressed in disturbances at 4 May commemoration ceremonies in Amsterdam. The ominous escalation of anti-Semitism and anti-Islamism has created a great stir. City councils, mosques, schools and immigrant organizations have come up with many initiatives in the past year to bridge the gap in the culture of commemoration between immigrants and native Dutch people. A bright green booklet with Arabic-like lettering has recently been circulated among Moroccan youngsters, entitled MO 40 / 45 – Marokkaanse soldaten in de 2e Wereldoorlog (‘MO 40 / 45 – Moroccan soldiers in the 2nd World War’). This visually attractive and accessible publication reveals how Moroccan soldiers tried in vain to defend the Zeeland town of Kapelle in 1940, outnumbered by the Germans. They were part of the French army, which was stationed in northern France and Belgium in 1939 in preparation for a German invasion. It turns out we have one of the most painful aspects of Dutch history, the humiliating defeat against the German invasion in 1940, in common with a Moroccan military unit. A mass grave was discovered in Kapelle, containing 63 Moroccans, of whom 19 where identified and buried in the local French military cemetery. There are 19 grave markers in the shape of a mosque, alongside Jewish markers in the shape of a Star of David and Christian markers in the form of a cross. This arrangement is symbolic for the equalizing effect of the army and of death. But it is also a powerfully evocative image for people who are in search of anchors for their identity. In fact the history of the commemoration of these soldiers is a striking demonstration of how personal mourning demonstrated by people directly involved gradually develops into symbolic grief as a means of identification for an entire group. Until 1985 the site was only visited by widows and their children, who quietly came each year to Kapelle to honour their dead. That year, for the first time, they found a group of Dutch Moroccans, who were looking for the French military cemetery. They had heard stories in Morocco about thousands of Moroccans who had been killed in the European war. The place has since become a true ‘lieu de mémoire’ for a small group of Moroccans. The events of the last two years have meant a marked increase in the number of visitors. Kapelle has entered the national canon of memorial places precisely because of society’s need for symbols that can unite different groups. Less symbolic but more scientific is the joint publication by NIOD, the Nether­lands Institute for War Documentation, and FORUM, the Institute for Multicultural Development, entitled Allochtonen van nu & en de oorlog van toen. Marokko, de Nederlandse Antillen, Suriname en Turkije in WO II (‘Today’s immigrants and yesterday’s war: Morocco, the Netherlands Antilles, Suriname and Turkey in WWII’). The publication, which focuses on the role of colonized countries during World War II, is an attempt to counter the ethnocentric view of this war, which has left ­little space for their memories at commemoration ceremonies. The book relates, among other things, how Moroccan soldiers were held captive in prisoner-of-war camps in Zeeland, Antilleans and Surinamese joined the Dutch resistance and how Turkey, although neutral, played a role as a port of access for Jews who were trying to flee to Palestine. The book is intended as a reference point for immigrants who wish to know more about the role of their native country during the war. But its aim is above all for educators, policy makers and leaders to bring a new view of the war legacy to the attention of young people. At the moment a lesson package is being developed in connection with the book, in order to circulate the information among schools as well. How long does a commemoration last? Both initiatives show how stories about war, education and social integration go hand in hand. But the extent to which a commemoration can be manufactured is limited. Among the group doing the remembering there must always be a percentage of ‘rememberers’ with authentic experiences. They provide, after all, the link between the photo albums and the family stories at home and the formal national comme­moration ceremony at a symbolic place. The fact that this group is steadily declining can be seen in the number of cars on the road on 4 May at two minutes to eight. In this development, it is significant that younger generations, when ‘the war’ is mentioned, think more of the First and Second Gulf Wars than of the Second World War. If the commemoration of the Second World War is to retain a central place in the national identity, an increasingly prominent stage-management by the government and political establishment will be necessary as years pass. One may have doubts about the sincerity of feelings at commemoration ceremonies that seem to be part of a civilizing offensive, the fact remains that young yobs did not play football with memorial wreaths in Amsterdam this year. The attempts to involve the New Dutch in the National Commemoration ceremony can therefore be considered relatively successful. What should be kept in mind, however, is that the life expectancy of a memorial is ultimately determined more by the age distribution of the population than by its cultural orientation. The smaller the number of directly involved participants becomes, the more the ‘Comité 4 en 5 mei’, the Dutch national commemoration organization, will have to use its imagination.
) Stef Scagliola is a historian and writer.